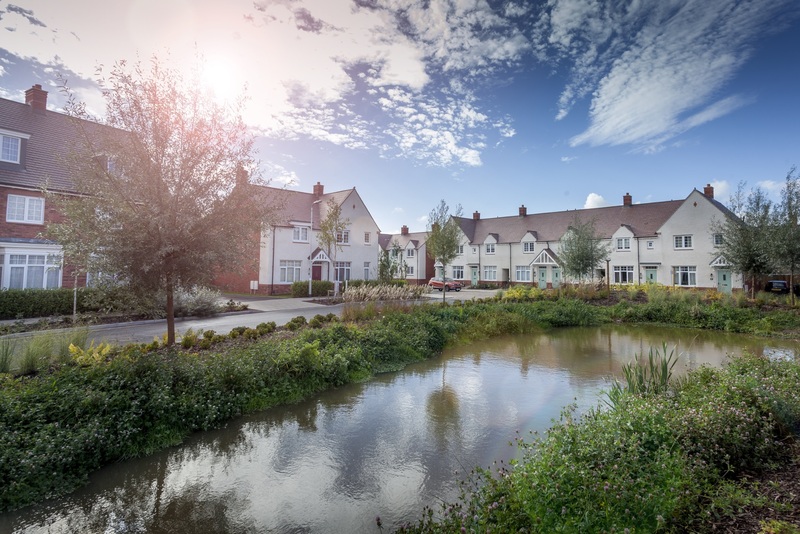 Loftus Garden Village – a new neighbourhood in the heart of Newport – has won the New Development title at this year’s Welsh Housing Awards. The scheme is being delivered by a partnership of homes provider Pobl Group, housebuilder Lovell, and Newport City Council. Featuring properties of high build-quality and design, the development has been landscaped with tree-lined roads and features such as a central pond and village-style green space. Ranging from one-bedroom apartments to four-bedroom family houses, there are homes for open market sale and shared ownership as well as properties for social, market and intermediate rent – with 19 homes also available on a cooperative basis. 60% of homes at the development are affordable, making a significant contribution to cutting the local housing waiting list. The affordable homes have also been delivered using cross subsidy from the outright sale and shared ownership properties, with no requirement for a social housing grant from the Welsh Government. The Lovell team has so far completed work on 191 homes at Loftus Garden Village with work under way on the remaining 59 properties. The overall development is expected to be complete in summer 2018. Community involvement has been a key factor in the development of the Garden Village project with strong emphasis on celebrating the site’s history, including the naming of the development in honour of local resident Ruby Loftus. The project team also ensured benefits for current residents by creating employment and training opportunities for local people, including 20 apprenticeship completions, 121 work experience placements and a number of jobs for local unemployed people.